Place a kettlebell on the floor between your feet. This is your starting position. Raise the kettlebell off the floor and pull it behind your legs to ensure maximum acceleration of raise. 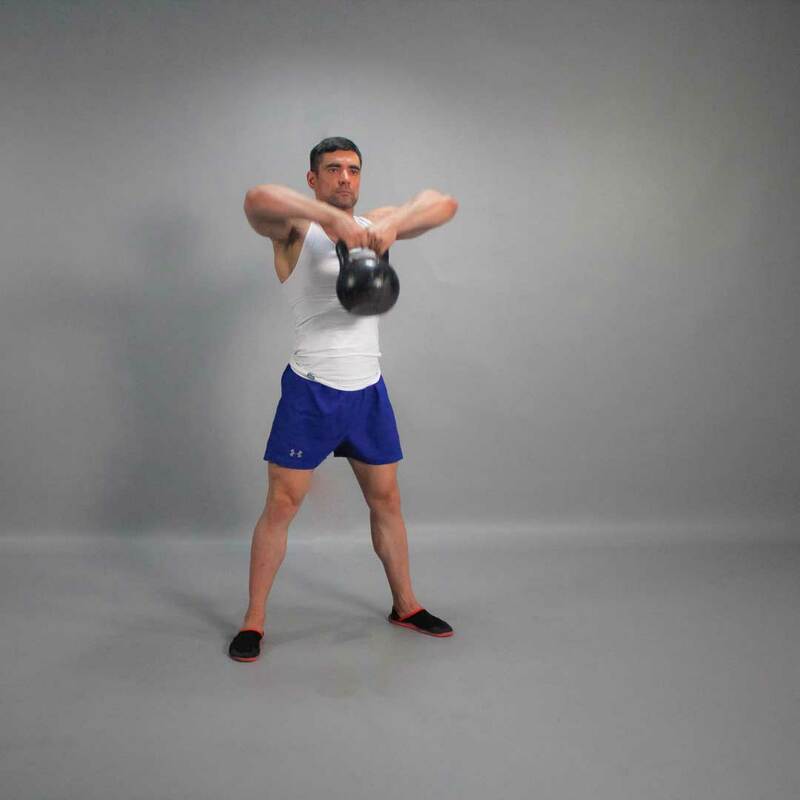 Pull the kettlebell in front of you up to shoulder level. 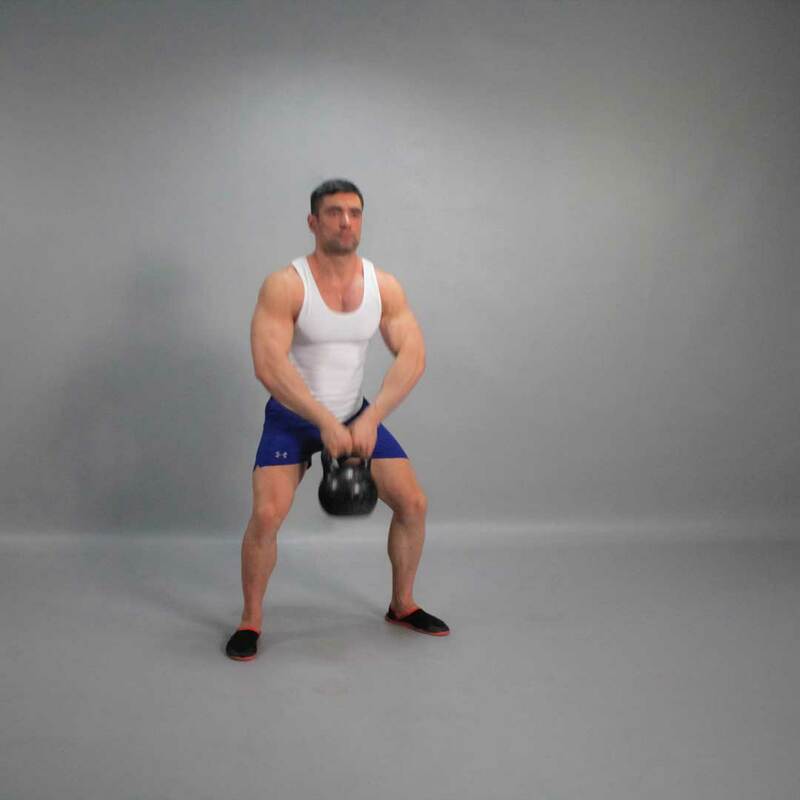 Lower the kettlebell down behind your legs returning back to starting position.